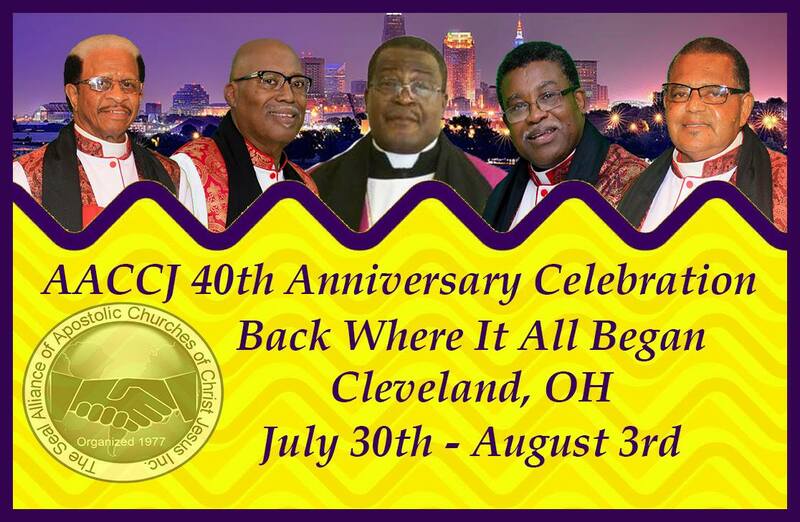 Get ready for AACCJ 2018 in Cleveland, Ohio back where it all began. Make your reservations now and we look forward to fellowshiping with you this summer. May God's richest blessings be upon each and every one of you is our prayer. Copyright © 2013-14. Alliance of Apostolic Churches of Christ Jesus, Inc.